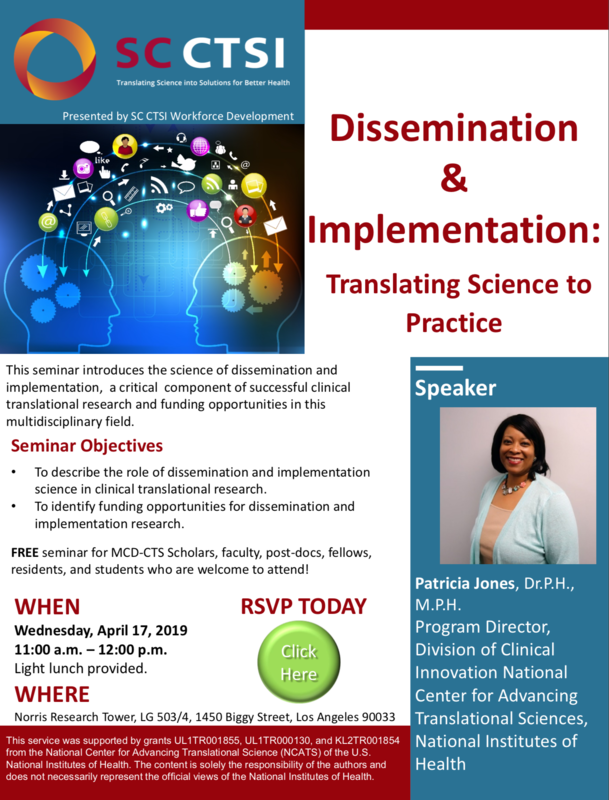 This seminar introduces the science of dissemination and implementation, a critical component of successful clinical translational research and funding opportunities in this multidisciplinary field. To describe the role of dissemination and implementation science in clinical translational research. To identify funding opportunities for dissemination and implementation research. FREE seminar for MCD-CTS Scholars, faculty, post-docs, fellows, residents, and students who are welcome to attend!